I'm planning a trip for mid or late July 2019 with my 15 year old son. I promised to take him to the lake on Picket Creek after going there a few years ago. We'll mostly follow what I've done before, so I only have a couple questions. Day 1 - Crescent Meadow to Hamilton Lakes. I remember this being fairly long but not difficult. Day 2 - Hamilton Lakes to...which of the following is most reasonable? Our goal is to get into Kaweah Basin and Picket Lakes as quickly as possible to allow time to enjoy and explore. We plan to be in good shape and acclimated. Lower Nine Lakes Basin would be a short day. I did that before. Is there a spot to camp at the lake (11682) below Pyra-Queen Col? Could we slog over Pyra Queen Col and camp in upper Kaweah Basin? Can Red Spur be enjoyed thoroughly as a day trip? Is it worth packing everything over to stay a night? Day 5 - Up Wallace Creek trail to PCT junction. Camp where? I might like to wander to Bighorn Plateau, Wallace Lakes, or Crabtree Lake before heading to Guitar Lake the next day. Finally, the permit. Am I correct that with this plan all I need is a permit from SEKI and no Whitney exit permit? I'll be ready to submit the permit application at 12:01am on March 1. First, your route is challenging, even for experienced adults. I assume you know your 15-year old well enough and determined the route is safe for him. Personally, I would not take a teen over that pass; but that is your call. I do not doubt your teen's energy level (probably more energy than you and I combined!). It is his experience on difficult and somewhat dangerous off-trail terrain that counts. Obviously you will be making the big safety calls, but he has to decide where to put each foot. Pyra Queen pass is relatively unstable, and there likely will be snow on both sides. You did not say when in July you plan this trip. After one long day to Hamilton Lake, I would hesitate to go over Pyra Queen all the way, the next day. Staying on the west side of Pyra Queen would mean a short day 2; going over on day 2, although rigorous, you may have less hard-icy snow to deal with. I would not want to go over Pyra Queen if tired. It is committing- you really cannot stop half-way there. There is sparse, but OK camping in upper Keweah Basin (I recall the three large lakes at the top of the basin had some grassy sites). Also at small round lake NW. Once down to timber there are lots of places. If you have time, I highly recommend Wallace Lake. Also, a side-trip up to Arctic Lake is very scenic. If you want to avoid the crowds at Guitar Lake, camp on the bench above. There is a small lake up there with some grassy flat campsites. Have you thought about reversing the route? It may work out logistically better, although getting a Whitney Permit is difficult. Last edited by Wandering Daisy on Thu Jan 17, 2019 10:58 am, edited 1 time in total. Here is a photo of the area near the small lake just NW and below three larger lakes. Limited campsites, but very scenic. Very exposed, if weather uncertain best to drop to below timber. The only thing a little sketchy on our route is Pyra Queen Col. He has done enough cross country hiking with me that I am confident of his abilities (and his energy). If there is much snow we'll choose a different route. Serious snow travel is not something I am comfortable with. We'll go as late in July as possible, but we need to be back in Europe by the beginning of August. Since we live in Europe now, I don't hear much about snow pack in the Sierra. How is it so far this year? And speaking of Europe, I should post a report of my modified Walker's Haute Route from last summer. zwoij wrote: ↑ Is there a spot to camp at the lake (11682) below Pyra-Queen Col? Lake 11682's perimeter is rocky, especially its eastern side. 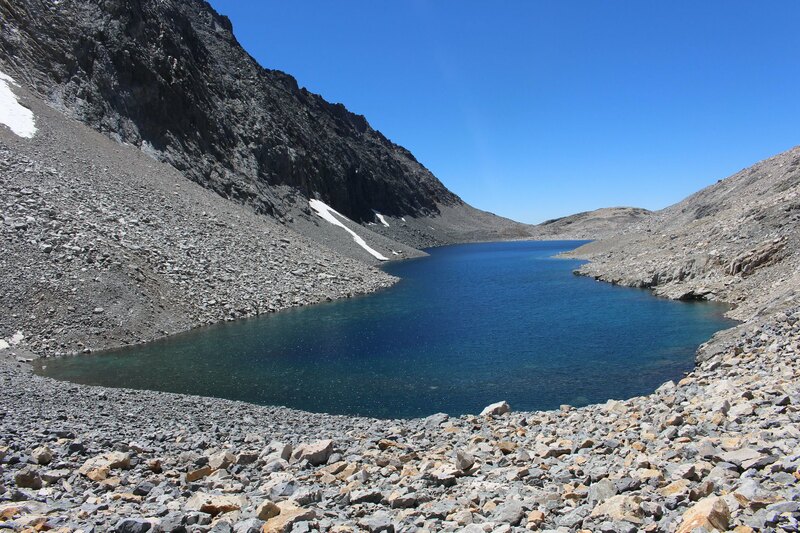 I spent two nights at Lake 11682 in 2010 due to a broken toe preventing me from attempting Pyraqueen Col. As Alpine Mike posted on his Kaweah Basin trip, there are a couple of possible campsites at Lake 11682. I camped near the outlet creek. It wasn’t a particularly good campsite, but it worked fine. There are also a couple of places one can put a tent if you follow the shoreline and look in the area in between Lake 11682 and the tiny lake to the west. As Rocky Road mentioned, the lakes below 11682 are on a beautiful bench with possible campsites that are superior to Lake 11682. SEKI has a wilderness planner - it answers a lot of questions. Including the one about a Whitney exit permit - not necessary for those starting in SEKI from west side trailheads. Those lakes on the bench likely have nicer camping but I would say the incredible views from the camp at Lake 11682 outweigh the marginal camping. Incredible in basically every direction. Would also stay at Lake 11682. 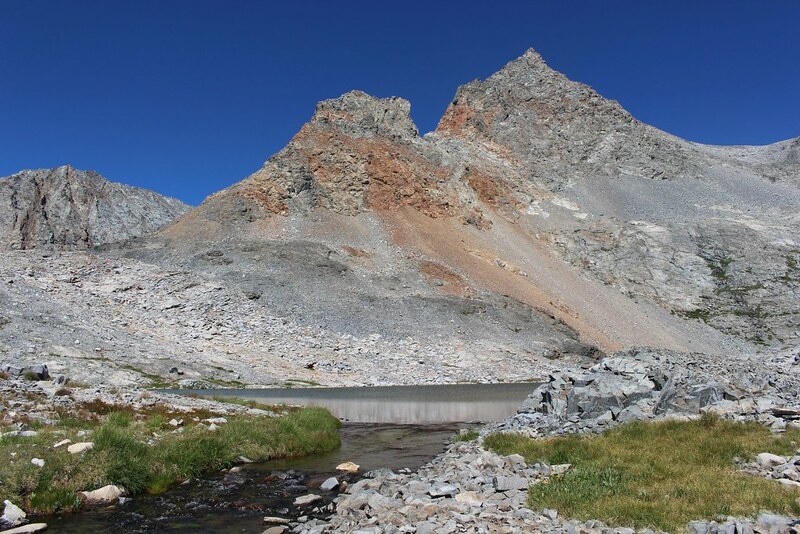 Yes, Red Spur is definitely worth visiting, plan to spend a night at the eastern side of the lake at 11000ft. Would recommend Wales over Wallace, unless your fishing.